Our friends at the 817ArtsAlliance are hosting a FREE Craft Party next month! Inspired by Etsy, the DFW Artisans' Craft Party gives you an opportunity to get in touch with your creative side. Join in a fun afternoon of crafting and great company. The first 20 attendees will receive a swag bag. You can pick up promotional literature from the event's sponsors and see a display of some creations by the artisans that helped put together the craft party, along with their business cards. Light snacks will be provided. 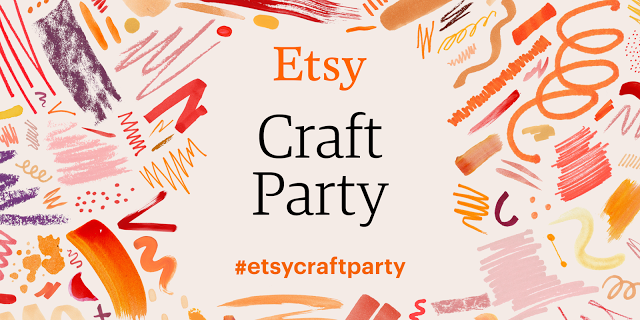 While you don't have to sign up to participate, it will help the organizers have enough supplies and snacks on hand if you will let them know you are coming by claiming your FREE ticket for Etsy Craft Party: Arlington on Eventbrite.